The National Electrical Code (NEC), in partnership with the National Fire Protection Association (NFPA), monitors the safety of electrical wiring in the United States. 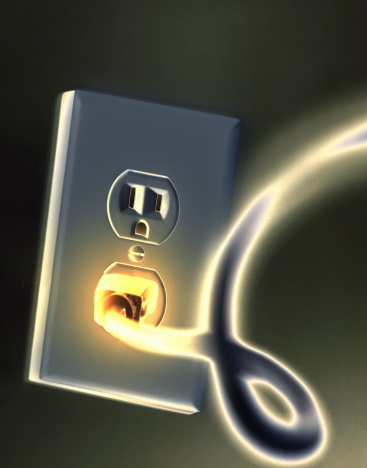 Electricity is essential to everyday life, but wiring faults can cause wires to melt, resulting in fires. Incorrect wiring can cause wired connections to melt. Short circuits occur when a live wire comes into direct contact with a neutral wire. If this happens, a fuse generally blows, cutting the electrical supply before an electrical connection melts. However, if the fuse does not blow and electricity continues to flow, the wires will get hot. The heat will then melt the outer plastic coating, which may cause it to catch on fire. When you turn on an electrical appliance, current is drawn through the wires and connections. The more energy the appliance requires, the more current that flows. If the flow of current exceeds the wire's specifications, the internal wire starts to heat up. Continued use of the appliance exacerbates the situation and may eventually cause the outer plastic coating and connections to melt. Electricity flowing through a wire creates a magnetic electric field current. You generally cannot see, hear or feel it. However, you may have noticed a buzzing sound that comes from the large overhead electricity cables. The electrical field current makes this sound. A coil of wire, such as an extension lead, increases the magnetic electrical field current. The result is the production of heat. The wire then gets hotter, making the outer plastic coating soft (and therefore weaker), which strengthens the electrical field, eventually causing the coating to melt. 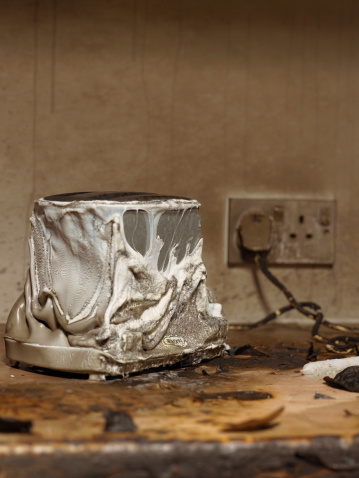 IThe NFPA notes that electrical fires often occur due to one small incident leading to another, which results in a combination of things that cause electrical connection melting. Overheating of wire caused by one or more of the previous examples can start the process. Once a wire gets hot, the heat can travel along the wire until it gets to an electrical connection, such as a plug in a wall socket. Once the connections in the plug get too hot, they melt and expose bare wires. These ultimately cause a short circuit, which produces more heat and melts the plug connection.